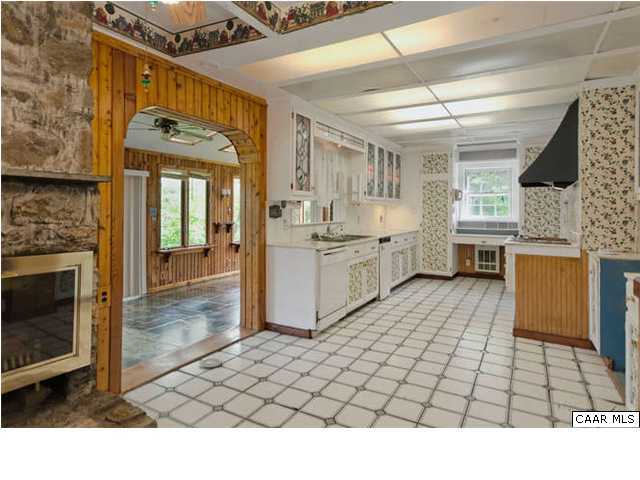 This is the view from the hallway looking into the kitchen. 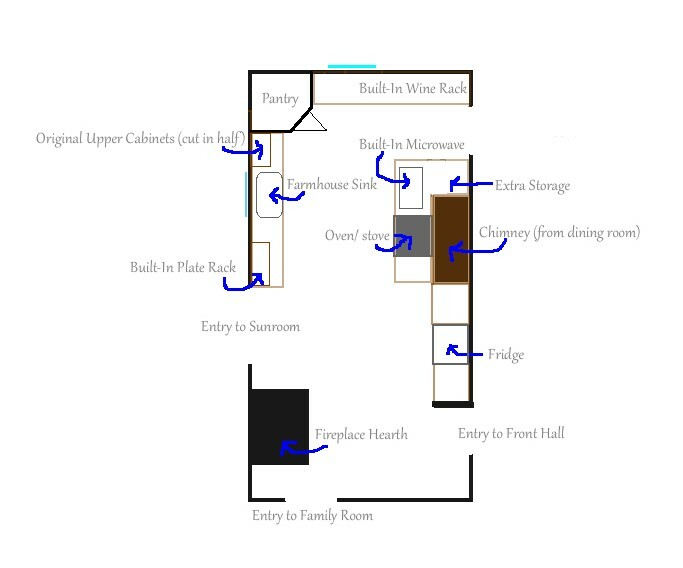 (Here’s the layout I drew from a previous post if that helps you visualize.) 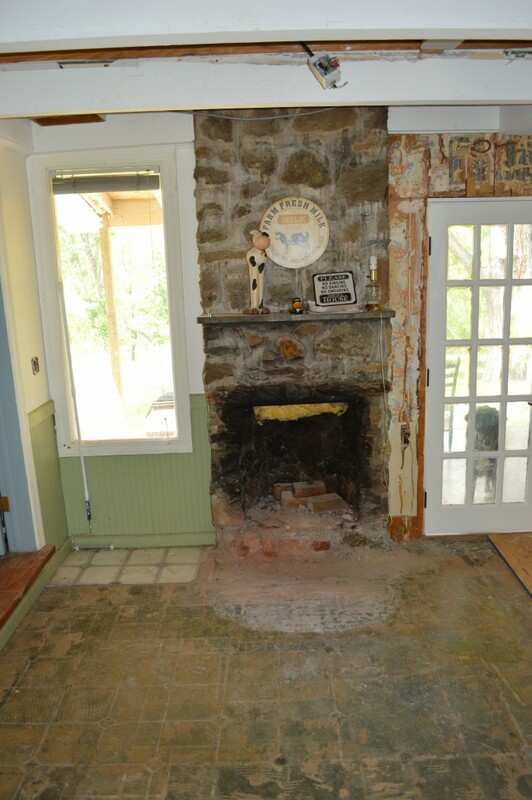 Our contractor jackhammed away the big hearth of the fireplace that used to take up a few feet on the floor! 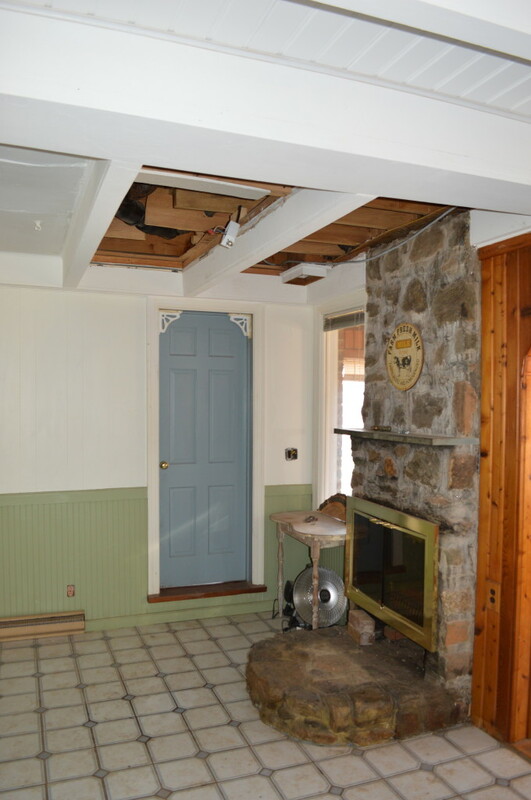 As you can see above and below, the fireplace now goes to the floor and has no big ledge anymore. 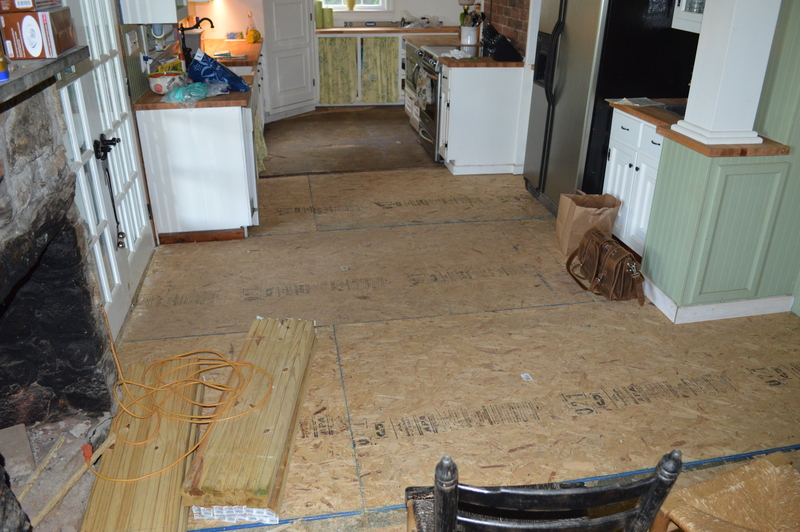 We weren’t home when this happened but our contractor did it all in a day. 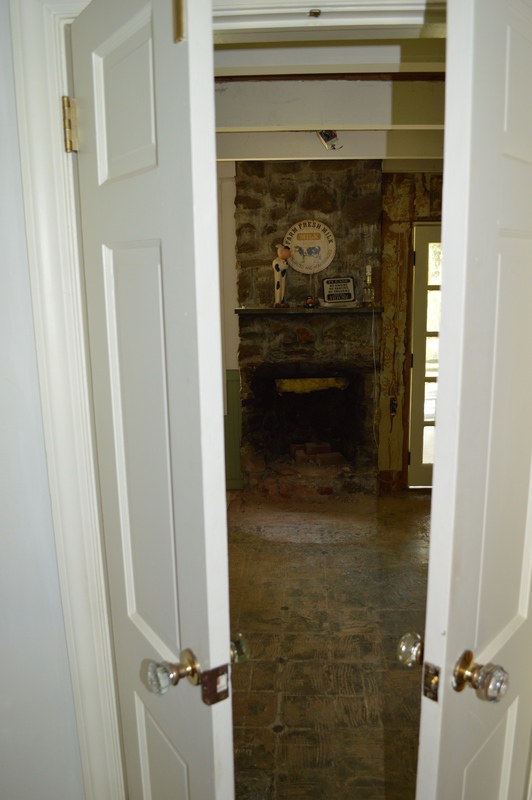 We decided to remove this part of the stone hearth so we will be able to fit a table and chairs in the kitchen. 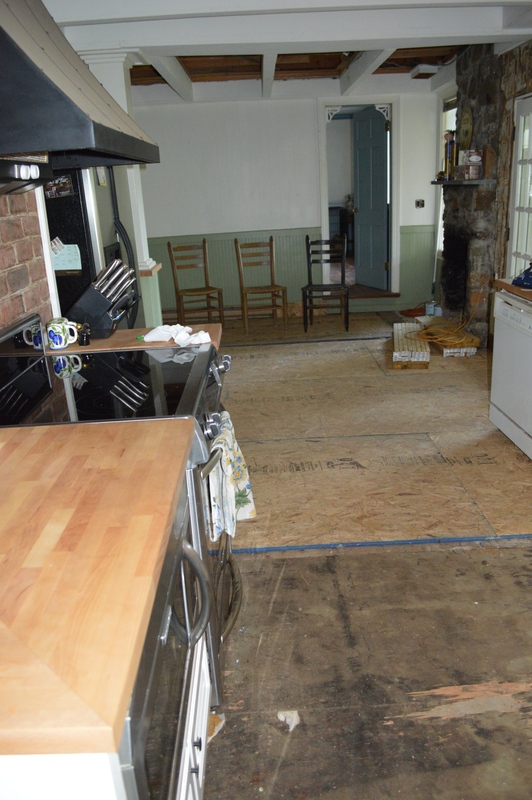 The way it was took up too much space but now I think we should be able to get a small table in there for a true farmhouse eat-in kitchen. 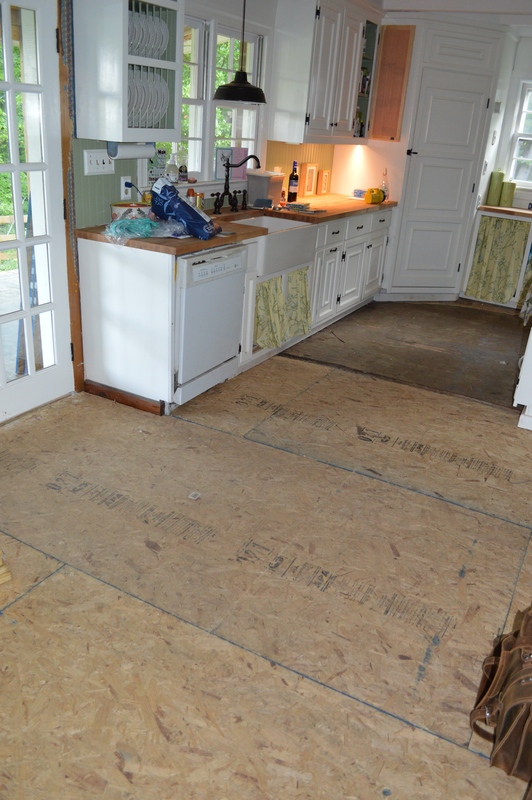 Tearing Up the Kitchen Floor New Layout for Kitchen!